Slice off the stem end of the pumpkin 2 1/2 inches from the top, reserving it; scrape out the seeds and the membranes, reserving the seeds for toasting if desired, and brush the inside of the pumpkin with the butter. Pulp is tender, and let it cool in the pan until it can be handled. Pulp, and in a blender puree it in batches, transferring it as it is pureed to a large sieve or colander lined with overlapping large coffee filters and set over a large bowl. 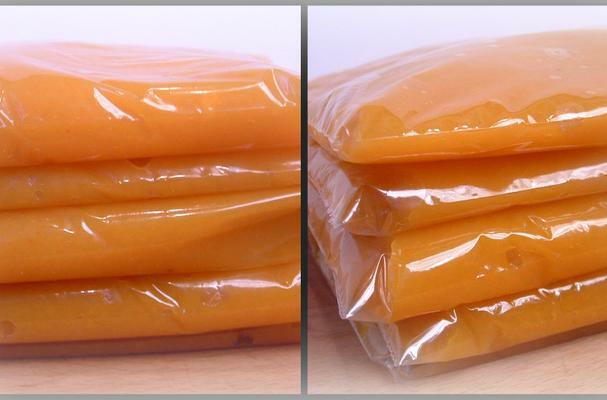 Cover the surface of the puree with plastic wrap and let the puree drain, chilled, overnight.